A pair of Democratic Senators have introduced legislation that would punish anyone who renounces their American citizenship with the intent to avoid taxes. 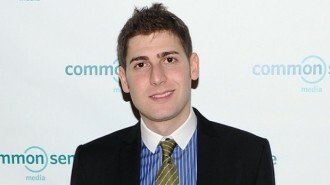 The bill comes shortly after Facebook co-founder Eduardo Saverin allegedly did just that, relocating to Singapore and relinquishing his US citizenship in a move that many feel was done to avoid paying capital gains taxes. Saverin’s shares in Facebook are expected to be worth nearly $3 billion tomorrow when the social network goes public. As such, he would likely be billed around $100 million in capital gains taxes, hardly a drop in the bucket at that point. Under the new bill introduced by Sen. Chuck Schumer and Sen. Bob Casey, the IRS will assume that anyone with a net worth of $2 million or a tax liability of $148,000 or more that renounces their citizenship is doing so to avoid the tax burden. Laws are already in place that prevent such individuals from re-entering the country but Schumer says there have been issues with enforcement. Their legislation would stiffen up re-entry laws and further state that any future investments in the US would be taxed at a 30 percent rate. For his part, Saverin says that his departure had nothing to do with taxes and that he complied with all known laws. By this, he means paying an exit tax (estimated around 15 percent), a fee that is based on assets the person has when leaving the country. Some tax experts, however, feel that Saverin’s decision to leave now could have been influenced not by capital gains taxes, but estate and gift taxes. Had he remained a US citizen, he wouldn’t have had to pay capital gains taxes until he sold his shares. But at the time of his death, his heirs would face an estate tax rate of 35 percent or more. Under gift tax laws, a living individual can only give $13,000 per calendar year per person without being taxed.